The Lower School program offers courses in language arts, mathematics, science, social studies, and Spanish language as well as instruction in performing and fine arts. Physical education instructors conduct a developmental program for Lower School boys, and a non-sectarian chapel program stimulates spiritual reflections twice a week. Work with computers and iPads begins in first grade, and boys begin taking classes in our computer lab in the spring of first grade. There are iPads in first and second-grade classrooms and Chromebooks in the third and fourth-grade classrooms. The study of Spanish begins in first grade, and in fourth grade we combine language arts, social studies, and study skills to form our humanities classes. Throughout the Lower School program, an effort is made to develop strong character, leadership, life skills, and study skills. Maintaining concentration, working well both independently and as a member of a group, demonstrating empathy towards others, persevering when confronted with difficulty, learning from mistakes, and enjoying work that is well done are emphasized daily. Experiences structured to strengthen both character and intellect are integral parts of the early years at St. Mark’s. The academic program in Lower School is determined through the cooperative efforts of faculty and administration and is reviewed annually. The Lower School faculty meets each week to discuss a variety of specific matters and concerns relating to the overall program. The Head of Lower School coordinates these efforts, looks after the welfare of the Lower School boys, facilitates communication between the School and parents, and supervises Lower School activities. The Lower School Computer Science program’s objective is to develop innovative and imaginative skills in computer science and to foster an interest in the use of technology as a tool for productivity and creativity. Students at each grade level learn fundamental skills in digital citizenship and global awareness, productivity programs such as Google Apps and Microsoft Office, collaboration, cloud computing, block-based programming, robotics, keyboarding, and troubleshooting skills. All students spend time working in the computer lab with Windows, however grades 1 and 2 also use iPads in their classroom, and grades 3 and 4 also use Chromebooks. In all grades, students spend time learning in both the computer lab and in the corresponding classroom with designated portable technology. The Lower School Language Arts program emphasizes skills in reading, writing, and speaking. In first grade, students are taught to put spoken language into written form. Then in-class lessons expand and reinforce skills in the areas of composition, handwriting, listening, speaking, and spelling. Students develop into independent readers with good silent-reading comprehension. A phonetic approach to reading and spelling is used primarily but not to the exclusion of other methods. Language arts classes in second, third, and fourth grades develop previously taught skills along with a wide range of new skills and a continuing emphasis on reading comprehension, composition (including proofreading and summarizing), vocabulary-building, grammar, and spelling. Organizational and study skills are also emphasized, and throughout the language arts program, children are exposed to good literature. Developing strong writing skills is considered a vital element in our curriculum throughout Lower School. In fourth grade, students begin our humanities program. This combination of language arts, social studies, and study skills is developmentally appropriate for the boys, and it helps prepare them for further humanities work in Middle School. Lower School Creative Arts classes help students become more visually and aesthetically aware. Students learn the basic art elements and language as they grow in their appreciation of art. They gain confidence and skill in using two- and three-dimensional art materials and become familiar with the work of various artists. Guest speakers and visual presentations enhance the program. Lower School Dramatics – Through improvisations, pantomimes, theater games, puppetry, play-making, scene study, and playwriting, as well as seeing professional performances, boys learn to express their intuitive dramatic insights and gain appreciation for the work of classmates and professionals. Each grade focuses on a body of literature as the source for dramatic activities. Lower School Music – Lower School Music students in grades 1 through 3 are actively involved with the elements of music through singing, listening, moving, creating, performing, and evaluating. They explore the process of building ensembles through an adaptation of Orff-Kodaly techniques and the use of instruments. They are exposed to various styles of music performances and receive beginning recorder instruction. NOTE: At the conclusion of Grade 3, a selection process takes place to aid the placement of students in choir, creative music, or stringsfor fourth grade. Novice Choir – This group of fourth-grade boys shares a special aptitude for singing and an interest in accelerating their vocal skills. Choir members study the performance and notation of music and develop vocal techniques. They learn the rudiments of singing and sight-reading through principles developed in Anglican choirs through the centuries. The boys lead singing in chapel and participate in the St. Mark’s Choir. Preparatory Strings – This class is for fourth graders who have not had previous instruction in playing a string instrument (violin, viola, and cello). A traditional music reading approach is used, with emphasis on correct technique and playing position. Instruments may be rented from the School, and there is a performance by the strings group in the spring. Music Exploration – Fourth-Grade Music Exploration class is a continuation of the spiral music curriculum which began in Grade 1. It includes the musical exploration on melodic and non-melodic percussion instruments. There is a weekly study of music theory, notation, and sight reading. The study of composers and their music continues on a monthly basis. Singing, dancing, listening, and composing, as well as continued study of the recorder are elements of this class. At least two performances take place each year. The Lower School Spanish Studies Program focuses on both Hispanic culture and the Spanish language. The goals of the program include an initial understanding of the language, a clear sense of confidence and success at learning a foreign language, anda greater awareness of life in Hispanic communities. Boys begin the language in first grade and continue their studies through fourth grade. This program also provides the boys with a positive foreign language experience that is a foundation for further study. The Lower School librarian organizes classes once a week for boys in each grade. The librarian encourages boys to read a wide range of books and promotes the life-long habit of reading for recreation and information gathering. Lessons include the necessary skills for independent use of libraries. Students in all grade levels are taught to efficiently search the online library catalog. With students in the first grade, the librarian shares literature related to various subjects taught in the classroom. These titles include classics, folklore, current publications and Caldecott winners. The students also learn the difference between fiction and nonfiction books, and how to locate these books in the library. The second graders review the use of the online library catalog adding a slight level of complexity to their searches. They learn the arrangement of nonfiction books, and are introduced to our online subscription resources. These databases are specifically chosen for their appropriateness of grade level. In the third grade, the boys continue to hone their research skills using the online catalog and our subscription databases. They learn the basics of website evaluation to determine the accuracy, or lack of accuracy, of information found on the Internet. They are also introduced to our collection of electronic books via Overdrive. Lessons are presented on logging in, searching for titles and checking out ebooks. The boys participate in the Texas Bluebonnet Award program and vote for their favorite book in January. The fourth grade uses the library throughout the year to work on research projects related to the humanities, science, and Spanish curriculums. They use previously learned skills to find information in both print and electronic resources. The use of Overdrive, website evaluation and participation in the Texas Bluebonnet Award program continues. During each grade level's weekly library time, all students may check out library books to take home. The library is also available to students during the day and before and after school for research and/or book checkout. Parents are encouraged to check out additional books for their children at any time. The Lower School mathematics students learn the four whole-number operations in a step-by-step approach which seeks to develop mastery by the end of grade four. Number sense develops over time; therefore, students receive regular opportunities to identify a number by an attribute (e.g., odd, even, prime, composite), see relationships between numbers, and develop flexibility in thinking about numbers. At each level, students read and solve word problems using the number operations that they are learning. Place value, estimation, measurement, algebra, geometry, fractions, and concepts of numbers are introduced and reinforced. Frequent use of manipulative objects teaches concepts and reinforces understanding. In first grade, addition and subtraction are introduced. Students work extensively on multi-digit addition and subtraction, and the concept of place value is taught. This work is extended during second grade along with the introduction of more complex, multi-step problem solving, multiplication and division. In third grade, multiplication and division are emphasized, including the multiplication and division facts, long division with remainders, and two-digit multiplication. In fourth grade, the goal is for students to comprehend and apply whole-number theory which is taught and reinforced throughout the curriculum in grades one through four. Students develop their understanding of algebraic concepts and thinking as well as their mental math ability. Additionally, they further strengthen their understanding of numbers and the effects that operations have on numbers. The Lower School Physical Education Program includes movement experience and body mechanics, rhythmic activities, simple game activities and relays, apparatus, stunts, tumbling, swimming, water safety, and water polo. In the third grade, we begin to place greater emphasis on sports skills and activities. Similarly, the fourth-grade program supplements the previous items with fitness routines and activities. The Lower School Science curriculum provides the boys with the foundations for observing, communicating, measuring, comparing, describing, classifying, predicting, collecting, and interpreting data. It is built to foster curiosity, inventiveness, persistence, and enthusiasm. We want the boys to learn by doing and reflecting. We use materials from a variety of programs to explore the life, earth and space, and physical sciences. In first grade, we look at physical objects and their properties; life cycles, habitats and the classification of plants and animals; the solar system overview and phases of the moon; and rocks, volcanoes, and earthquakes. Our second-grade curriculum covers interactions and systems; air, water, and ground pollution; and animals and endangered species. In third grade, we formally discuss the use of scientific method. We study the oceans, the sun, other galaxies, black holes, the eye and sight, the senses, the skeletal and digestive systems, and nutrition. Our fourth-grade curriculum covers an in-depth look at each planet in the solar system; we study the earth from its core to the crust. In the life science area, fourth graders study the respiratory and circulatory systems of the human body. Fourth graders also learn basic laboratory techniques. In the Lower School, we use our planetarium as a primary tool in the study of astronomy. The Lower School Social Studies curriculum is designed to introduce skills and to foster an understanding of the basic foundation skills of social studies: geography, history, sociology, anthropology, economics, and political science. The first-year curriculum is centered on learning about families and neighborhoods and on exploration and discovery. Students work with maps and learn about our country's history. The second-year focuses on communities; students study their own community in Dallas, Texas. Map skills, geography, and the structure of our government are also included. Third-grade students study the use and conservation of natural resources and participate in related projects. The students also study how the people of the Netherlands and Nepal care for their land, solve problems at their national parks, and manage their resources. The fourth grade uses a humanities curriculum that focuses on Texas; the boys study the history, geography, and people of our state. World geography is also an area of focus. Appropriate map skills are taught at all grade levels in the Lower School. Lower School faculty members assess students’ progress without using letter grades. Formal communication about a child’s academic accomplishments and general growth and behavior occurs three times each year when teachers provide written narrative comments, and parents discuss their son’s progress with a core faculty member. Faculty members often provide informal verbal and written information to parents. The communications between teachers and parents generate a clearer sense of each child. Conference times help to ensure that we share a common understanding about our goals for the boys. Homework is a regular expectation for boys in first through fourth grade; it is given to establish good study skills and responsibility. In first and second grade, it is almost exclusively a review of material and skills learned in class. In third and fourth grade, homework more often calls for greater independence, and there are more long-term assignments. First graders will generally have 20–30 minutes of homework, and the expected homework time gradually increases to 75–90 minutes for boys in fourth grade. A consistent daily/weekly routine is very beneficial for most children. Boys need guidance in managing after-school time and responsibilities, and in establishing a -regular place and time for homework. They also need unstructured time each day for play. It is a rare student who can successfully and happily handle more than two regularly scheduled activities per week after school. It is also essential that growing boys have a nourishing breakfast each day and a consistent, appropriate bedtime on school nights. Most testing at school consists of teacher-devised evaluations administered to a group of students. In addition, second through fourth-grade boys take standardized tests in academic areas and physical education. The academic test results are reported to parents. While the School considers the long-term observations by its faculty more accurate in tracing growth, standardized tests provide one means of comparing an individual boy’s achievement with that of students elsewhere. Standardized tests are also an additional source of information about a child’s learning. Occasionally, the School will suggest individual testing of a student (for example, when a learning difference is suspected), which is usually administered by a psychologist. Parents may initiate a request for such testing regarding academic or other matters by contacting their child’s teacher or the Head of Lower School. To accomplish their academic goals in the Lower School, some boys will be offered short-term extra help after school, which is normally supervised by the boy’s regular teacher. In a few cases, the School may recommend that a student receive longer-term private tutoring, or parents may choose this option on their own. When tutoring takes place, it is essential that the classroom teacher communicate regularly with the tutor. Summer work with a tutor is sometimes necessary for boys who will benefit from additional assistance. In these cases, the School may require a written report from the instructor at the conclusion of the course. Nearly all of our boys experience success with their academic work. Any child, however, may experience a period of time when the School program is particularly challenging. If problems arise, parents and teachers meet to further explore the difficulty and to develop an appropriate plan of action. The Head of Lower School often joins these discussions. 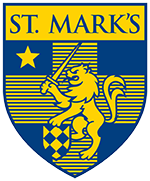 Occasionally, however, the School feels compelled to suggest that the parents consider a different school setting for their boy or have him repeat a grade at St. Mark’s. In each case, close and comprehensive communication forms the basis for evaluation of a student’s progress before any decisions are made.